Pico is something that everyone does a little differently. 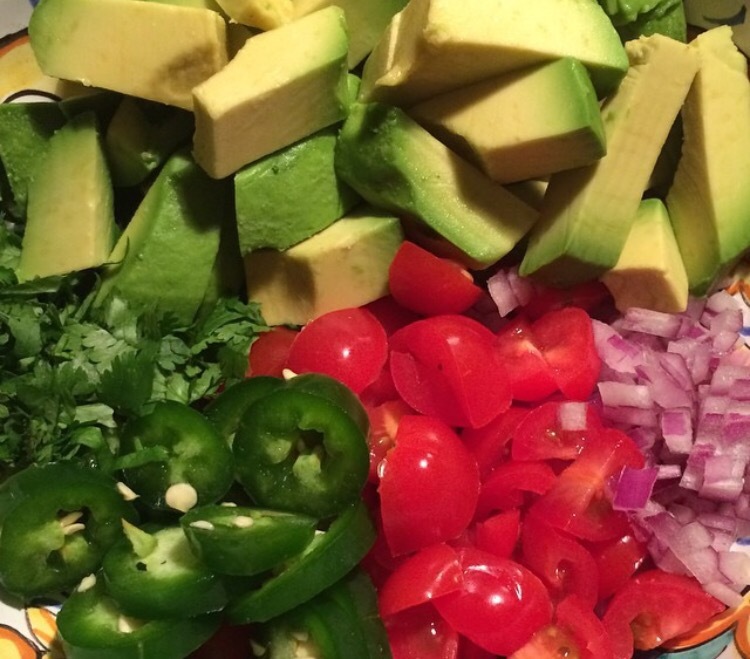 We eat avocados almost every day in my house, so that is a must in our pico. If I had a dime for every time I’ve made this…..let’s just say I make it at least 3 times a week since we put it on everything from fish tacos to beef enchiladas to eggs and basically anything savory you can imagine on the Mexican inspired spectrum. Try not to scoop it all up with chips before dinner is ready ~ it’s almost impossible!